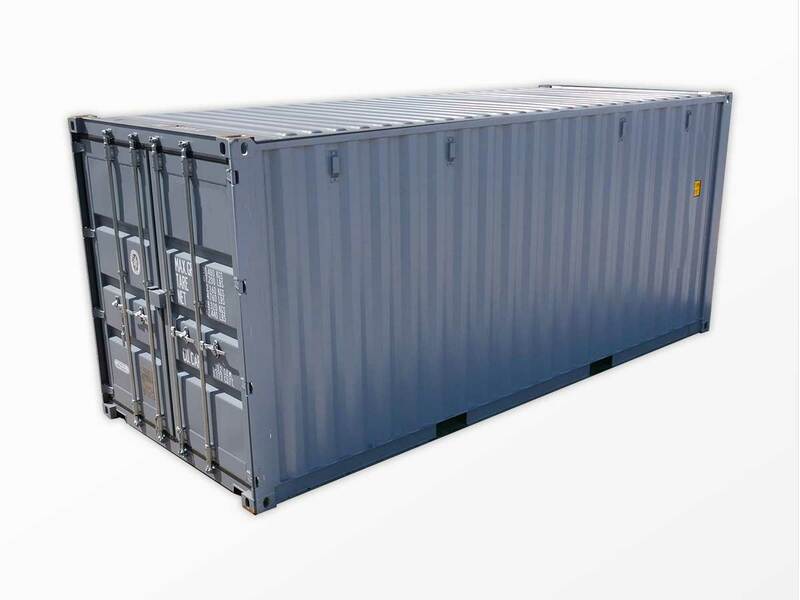 The versatile 20-foot standard shipping container is the industry standard for portable storage and intermodal transportation. 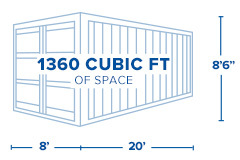 Interport’s 20-foot dry shipping containers are easy to load, access, and handle. Plus they can hold high-density products such as metal or dried grains and remain within weight limits. Our 20-foot dry shipping containers have about the same capacity as a one-car garage and fit well where space is limited. Multiple units can be used to keep products safely separated. Interport offers the Northeast’s largest selection of high-quality new and used 20-foot shipping containers, available for immediate sale and next-business-day delivery. Purchasing a container from Interport is as easy as 1, 2, 3. Simply choose your container, request a container, and arrange for delivery. Length: 20ft. Length: 19ft. 4in. Width: 7ft. 6in. Gross: 67,197 lbs. Width: 8ft. Width: 7ft. 7in. Height: 7ft. 4in. Payload: 62,788 lbs. Height: 8ft. 6 in. Height: 7ft. 8in. Tare Weight: 4,409 lbs. * Note: Dimensions and weights are approximate and may vary slightly. Length: 20ft. Width: 8ft. Height: 8ft. 6 in. Length: 19ft. 4in. Width: 7ft. 7in. Height: 7ft. 8in. Width: 7ft. 6in. Height: 7ft. 4in. Gross: 67,197 lbs. Payload: 62,788 lbs. Tare Weight: 4,409 lbs. Our popular shipping container modifications include windows and doors, painting, lock boxes, partitions, and more. Work with our engineering team to transform a shipping container into a food stand, golf clubhouse or whatever else you can imagine.